My favorite go-to restaurant is El Arenal, a brief 10 minute walk from the house. They consistently serve good food and were hospitable even before we became a regulars. Despite being an informal neighborhood restaurant, the use of linens adds to the beachside ambiance. 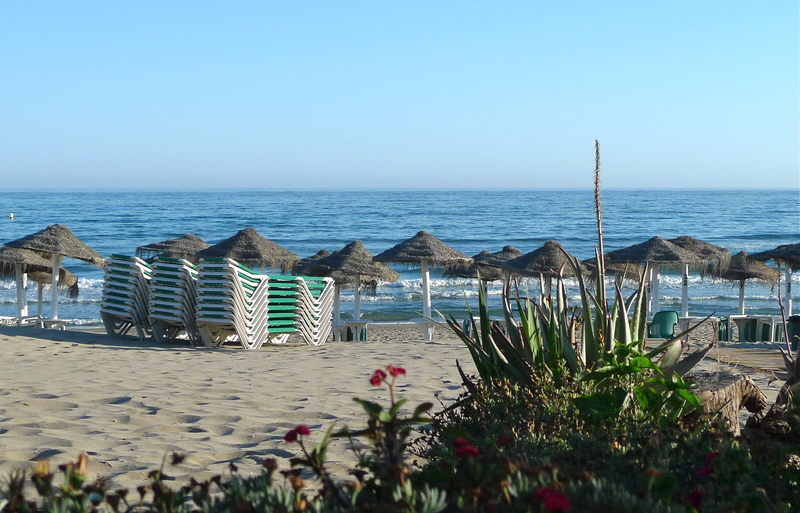 On this evening we started with a refreshing gazpacho and salpicón de mariscos (seafood salad). This salad can be found with a variety of seafood, such as shrimp, scallop, mussels, crab and octopus. El Arenal’s version included shrimp, mussels and octopus and is chopped chunkier than most. 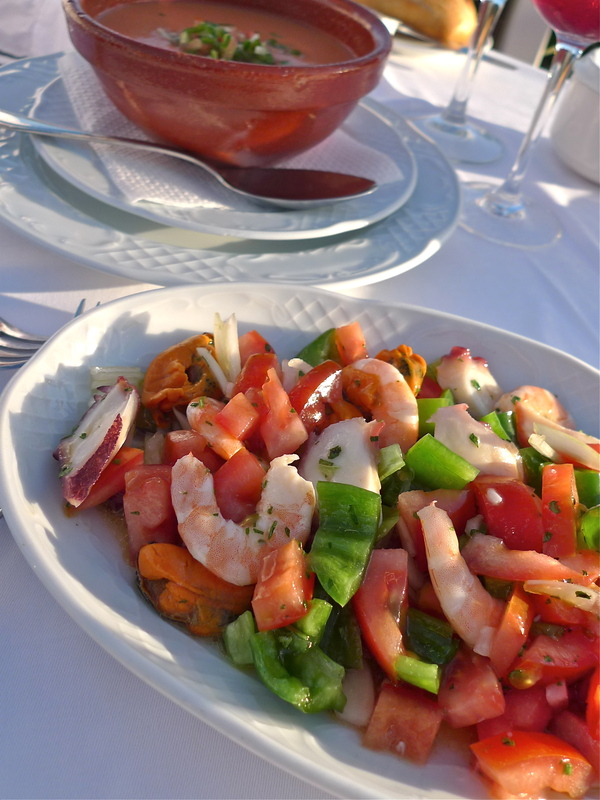 In all varieties, salpicón de mariscos is a light, vinegar based salad and an excellent accompaniment to rich Spanish entrées. The main course was a scrumptious Paella de Mariscos (seafood paella). 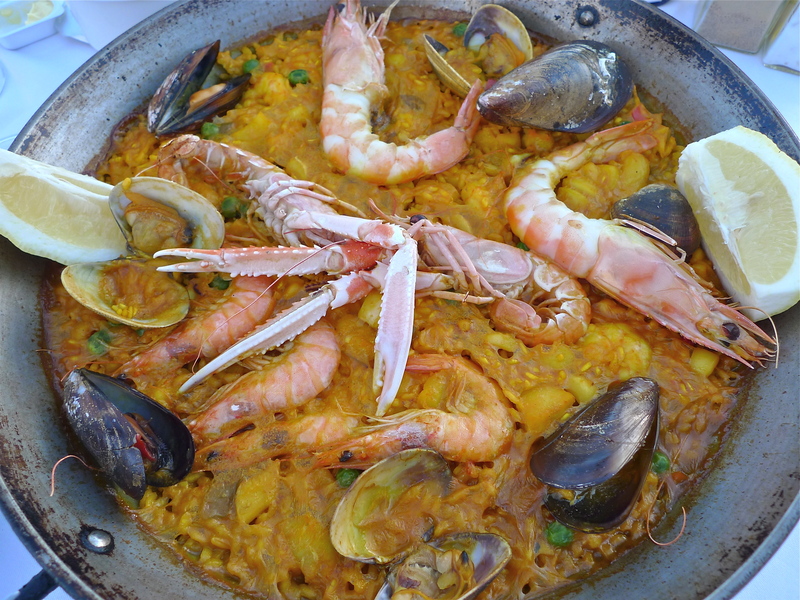 Paella is one of my favorite Spanish dishes and paella in Spain is indeed special (no surprise). It’s like eating a NY-style pizza out of NYC, no matter how good they make it elsewhere, it’s just not the same as. I watched the sunset from the table, finished dinner with an aperitif and had a leisure walk home with my contented belly.